"Fraxel, the first choice to treat acne scars and melasma"
The Fraxel is an FDA cleared laser, which produces thousands of tiny columns of microscopic treatment zones in your skin, leaving the surrounding skin unaffected. This “fractional” treatment approach allows the skin to heal much faster than if all the skin was treated at once. Following each treatment, the body’s natural healing process creates new, healthy tissue to replace skin imperfections. The Fraxel Restore system specifically targets unwanted pigment, leaving the skin tone more even and pleasing to the eye. The Fraxel ReStore system refines the skin in a precisely controlled fashion. 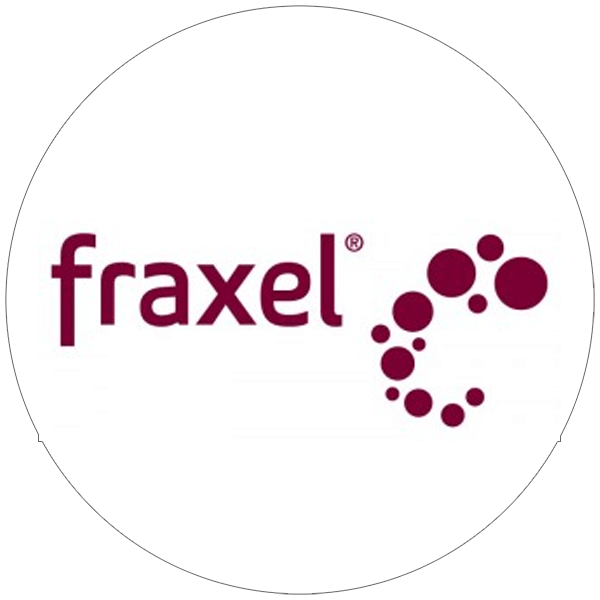 Fraxel laser treatment course consists of three to five procedures, spaced two to four weeks apart, producing a gentle remodeling of collagen under your skin’s surface. Improvements in your appearance will continue for six months or more. What areas of the body can be treated with the Fraxel? The face is cleansed and a topical anesthetic is applied for 45-60 minutes. During the treatment, the hand piece of the laser is guided across the skin’s surface in a precise and predetermined fashion, based on the specific goals of the treatment. A special cooling device will blow chilled air across the skin as it is being treated. There may be some slight discomfort at times, which patients describe as a prickling sensation but the treatment is generally well tolerated. This portion of the procedure takes approximately 30 minutes. The skin is cleansed before you leave and a sunscreen/moisturizer is applied. Must have a Consultation before booking this treatment. Our “Fraxel Jr.” 1440 laser treatment promotes a natural collagen renewal process that dramatically reduces the look of every key sign of aging. Targeted beams of light work below the skin’s surface to accelerate collagen and elastin production for visibly younger and more radiant skin.The healthy skin helps turn over the tiny lesions in a matter of days, revealing the fresh, smoother, healthier glowing skin. Visibly restore the natural luminosity of your entire face and smooth hard-to-treat wrinkles for a more youthful, radiant and refreshed look. A: This laser is a non-ablative, fractional laser that targets beams of light that work below the skin’s surface to accelerate collagen and elastin production for visibly younger and more radiant skin. A: Your skin will be a little pink right after treatment, but you can resume all normal activities immediately. It is recommended you avoid going in the sun without sunscreen, which you should wear at all times anyway! A: This varies for everyone, but most people see the best result after four to six treatments. After that, we recommend follow up treatments a few times a year to maintain your good results. These are general guidelines — we always tailor each patient’s skin care regimen to their unique needs. Many of these treatments can be combined and customized to the needs of your skin. Please ask your esthetician which combination is best for you.